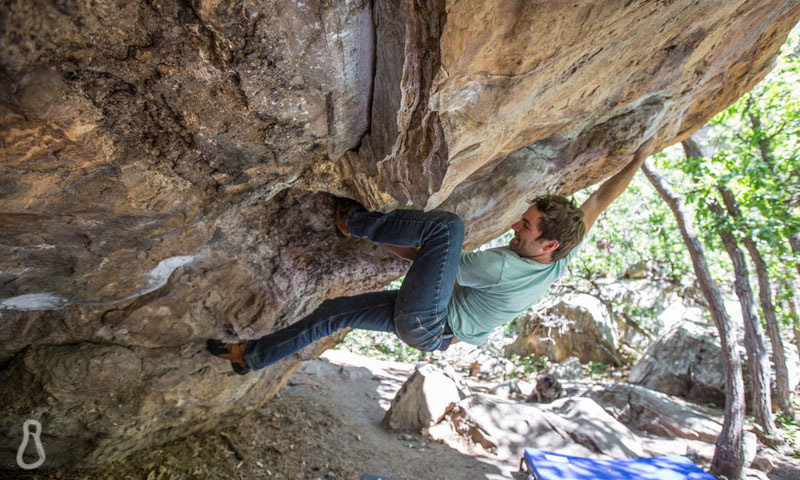 I learned last week that many of you are interested in nutrition tips for climbing days, so I decided to post a chapter from my Rock Climbing Nutrition eBook so you can all get started in the right direction. You can find the full content here. Performance days are the days that you work really hard to send your projects. On these days, you need a great deal of energy, power, and endurance. In order to achieve these goals, your body will need quick energy in the form of carbohydrates and electrolytes. Think of your body like a car. You need fuel (carbohydrates) in order to power the engine, but you also need motor oil (electrolytes) to lubricate the pistons and keep the engine running smoothly. On sending days, you will want to: focus on carbohydrates, hydrate with fluids and electrolytes, and add in fat and protein. For the first 1.5 hours of intense exercise, your body is running primarily on carbohydrates. This is where the term “carb-loading” comes into play because many endurance athletes try to build up their carbohydrate stores before a race or event. The more carbohydrates you can store away for later, the longer your body will last before needing more energy. Carb-loading may look different for each person, as we all follow different eating patterns, but the underlying goal is the same: eat plenty of carbohydrates. The most common way to carb-load is with bread, crackers, and pastas, but it’s also possible to carb-load without these foods. If you’re following more of a paleo, or grain-free diet, you can get your carbohydrates from fruit, starchy vegetables (like sweet potatoes) and starches like tapioca and arrowroot flour. When you’re looking for carbohydrates, try to find one that is low in fiber. Although fiber is great for rest days, it can’t be converted into energy and can actually slow down digestion, making your body less efficient at converting carbs into energy. After about 1.5 hours, your body will burn through its stores of carbohydrates. This means that you need to eat some form of carbohydrates after you’ve been climbing for an hour and a half. 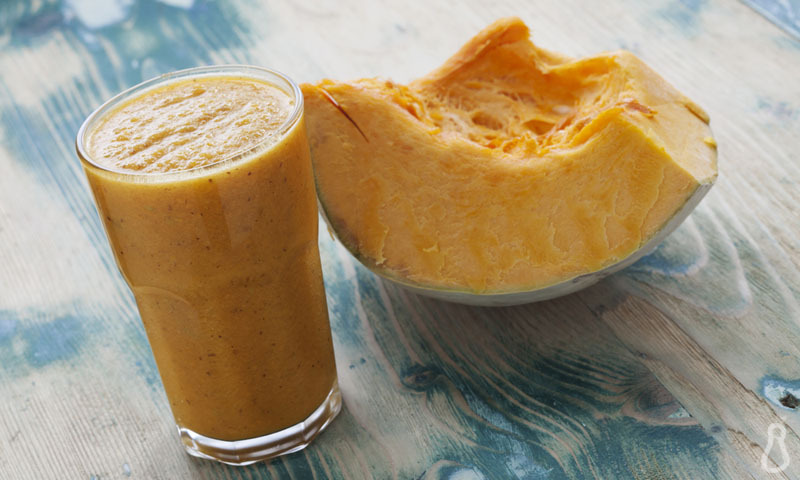 You will also need to start replacing your electrolytes, sodium and potassium. You will need mostly sodium and trace amounts of potassium, so beverages like coconut water that are extremely high in potassium are not what you want to be drinking out at the crag. You can replace your sodium with sports drinks or solid food, like a salted spinach and orange salad or salted banana chips. Since liquids are easier to absorb than solid foods, sports drinks can be more efficient, but solid food is a great option as well. After 1.5 hours of climbing, try to drink 8-10 oz of a sports drink every 15-30 minutes. Don’t forget that you’ll need more fluids when climbing at high altitudes and in hotter climates. After about 4 hours, your body starts burning fat for energy instead of carbohydrates. At this point, you will have just about burned through all of your electrolytes, and you will need to replace them frequently if you want to avoid dehydration. You will also want to continue eating carbohydrates, as they keep the fire burning, so to speak. If you’re a big wall climber or plan to participate in 24 Hours of Horseshoe Hell, you’ll need to add protein and fat to the mix after 12 hours of continuous climbing. You should continue consuming a source of carbohydrates, but be sure to get plenty of healthy fats and protein in as well. Sources of fat include nuts and nut butters, avocados, coconut oil, cheeses, and high-fat meats like salami and pepperoni. 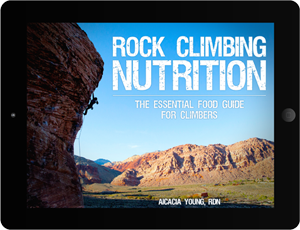 To learn more about rest day guidelines, how to improve your metabolism, how to recover faster from injuries, and how to incorporate these guidelines into your personal dietary plan, check out my Rock Climbing Nutrition eBook here.